We actually flew with the Team, Cheerleaders, and Athletic Staff on a Charter Plane, where our bus drove right up onto the runway to meet us! VIP Treatment! When we arrived at the hotel, they were ready for us! The whole place was decked out with Princeton gear, from banners to even a flag out front! We arrived in Florida on a Thursday, so to occupy ourselves on Friday we spent the day at Panama City Beach! Finally it was time for the game vs. St. John’s! Drummers Gabe Eggers ’13, Hyung Lee ’12, Seth Gordon ’13, Nicole Rafidi ’12, and Matthew Edwards ’12 at the Pep Rally at the hotel! Lindsey Breuer ’11, Lisa Yankowitz ’13, and Carol Dreibelbis ’11 at the game! The game may have not turned out for the best, but the band still had an amazing time as always! Another first for the band was going to Men’s Volleyball Game! Devan Kreisberg ’13 and Evan Leichter ’13 at the Men’s Volleyball Game vs. George Mason! The team had asked us to play, and was really excited/thankful for us to be there! 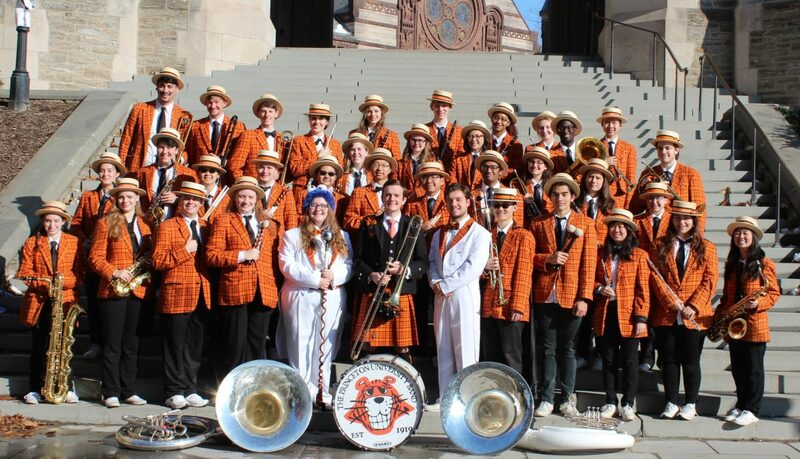 It was an exciting event that lasted all 5 games, and the band was only hit a couple of times so it was a blast! Finally, last weekend the band travelled with the Men’s Lacrosse Team to the Big City Classic, where we watched the Tigers lose 4-13 in a painful game, BUT the event was one of the first games in the new Meadowlands Stadium, so it was a great experience in the end! Plus we did escalator gigs before the game, which were awesome! Seth Gordon ’13, Hyung Lee ’12, and Graham Peigh ’13 at the Big City Classic! The band will be finishing up the semester, crashing Pre-Frosh events, looking to recruit new members, and gearing up for Reunions! Next PostNext Football Season 2010!